You probably never, in your wildest imagination, expected to hear that nearly half of Americans participate in outdoor activities from fishing to bird-watching. Yet by health or by hobby, Americans flock to the great outdoors and receive its myriad health benefits even though all they might really be looking for is a little alone time. But there are health risks, as well. More than 103 million Americans age 16 and older participate in some form of wildlife recreation, including fishing, hunting and nature observation, such as bird watching or photography in the outdoors. The National Survey of Fishing, Hunting and Wildlife-Associated Recreation has conducted surveys since 1955 to record facts about U.S. residents who are anglers, hunters, and wildlife watchers. According to the 2016 survey, more than 11.5 million Americans went hunting, which totals 4 percent of Americans 16 and older. Fourteen percent of U.S. residents, a total of 35.8 million, went fishing, and 86 million, or 34 percent, spent time deliberately observing wildlife -- either at home or while traveling. “And on a personal level, a growing body of scientific research supports what so many of us have experienced ourselves -- that we’re all healthier, happier and better off in myriad ways when we spend time in nature,” the report says. It’s true that fresh air and exercise contribute to overall wellness, but with every activity there are risks to your health. When your recreation choices require twisting, squatting, kneeling or bending, it can cause restrictions, often referred to as misalignments, in muscle and joint function, especially if you’re not prepared for it. America’s anglers are growing in number. The National Survey from 2011 to 2016 showed a growth of about 15 percent, including three types of fishing: saltwater, freshwater, and freshwater fishing that excludes the Great Lakes. 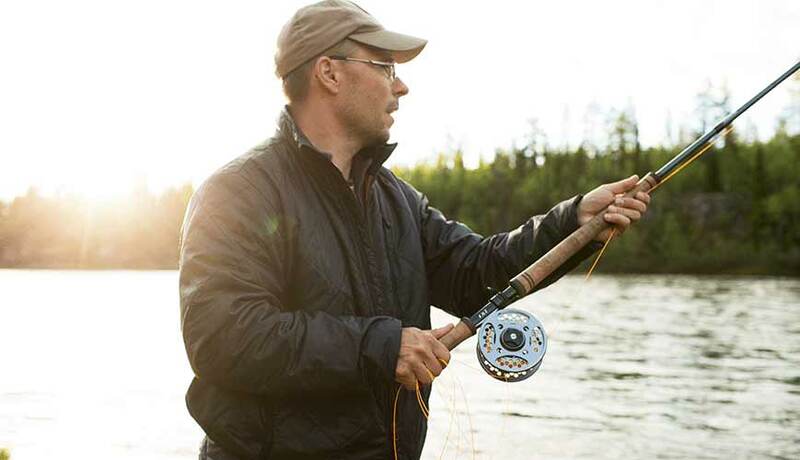 As one of the largest freshwater fisheries in the world, the Great Lakes area draws thousands of individuals who like to drop their line and attempt to catch trout, walleye, salmon and other lake dwellers. That part of the country is also a focal point for cutting-edge techniques and supplies. Although equipment can make our favorite forms of recreation a little bit easier, nothing replaces best practices when it comes to health maintenance. Preventing the stereotypical hunched-over fisherman posture requires attention to the health of your spine, which is best served by visits to a chiropractor. With routine visits for chiropractic care, you can discuss options for seating, exercises to strengthen your core muscles, and receive necessary adjustments for the effects of hours spent on the water. If it conjures up images of men trudging through forests in search of deer, you’re partly right. Ninety percent of hunters are male, but they choose various forms of hunting. Some use shotguns and rifles, while others prefer something more primitive. Data for the National Survey includes hunters using archery equipment, as well as pistols, handguns and muzzleloaders. They hunt migratory birds, big game, small game and other animals, and most hunters are between age 55 and 64. The majority of them seek big game, and their annual expenditures total $14.9 billion, in large part due to travel costs. More than 9 million hunters spend an average of two weeks on the hunt. And because 13 percent of their equipment costs go to tents and binoculars, it’s safe to conclude many of them go camping. Before hauling heavy gear, hiking to a backwoods destination and sleeping on the ground, see your chiropractor; with a physical assessment in advance before such activity, you reduce your chance of injury in a location where medical attention is nonexistent. It sounds difficult to quantify “wildlife watchers” because it’s hard to imagine people not interacting with birds or other animals in nature at some point. The National Survey includes individuals who take a "special interest" in wildlife around their homes or report taking a trip for the "primary purpose" of wildlife watching. Of the 23.7 million people who take trips away from home to commune with nature, 28 percent feed, observe, or photograph wildlife. Most of them are there just to observe, but 5 percent of the U.S. population take trips to photograph nature, and the average length of their stay is 11 days, the report says. Of course, there are easy bird-watching walks that require little-to-no physical challenges, but if you’re photographing bald eagles of the Adirondack, for instance, you’ve got your work cut out for you. Photographer Howard Arndt describes such a feat in Outdoor Photographer Magazine, where catching sight of an eagle’s nest 100 feet high involved the use of a canoe. Another wildlife photographer, Mary Lundeberg, describes the process of finding red foxes on the edges of woods and hills. Her practice involves getting up at dawn, crouching next to shrubs, kneeling on a cushion and waiting -- sometimes as long as an hour -- for foxes to emerge. At that point she needs to hold her stance, perfectly still, to avoid detection by the animals. Some of these postures can cause long-term health problems, from pressure on your lower back to muscle strain from holding squats too long or raising your arms for better photography results. Chiropractic care before you engage in these forms of wildlife watching can get you prepared in areas you need most. Your chiropractor can also suggest equipment to maintain your range of motion and minimize damage to parts of your body that are overworked in your chosen field of recreation. Time in the wild doesn’t have to mean the onset of a wild-card health issue. Maximizing your well-being through chiropractic maintenance increases the certainty that any resulting health concerns will be relatively tame even if the animal you’re trying to find isn’t..